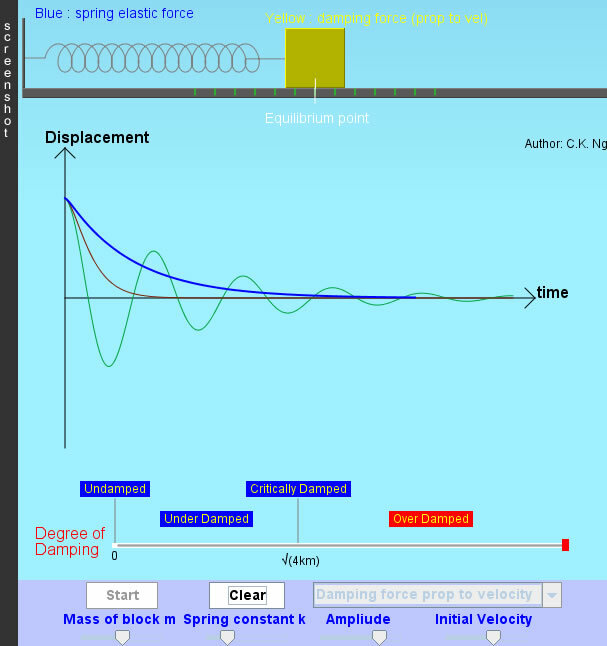 Click anywhere on the displacement-time graph and then drag out a line for distance measurement. Understanding damped oscillations without ode's , a paper written by the author and published in Physics Education, March 2015 (Accepted Manuscript). There is an oscillation but the amplitude decreases exponentially with time. There is no real oscillation. There is only a very slow return of the object to the initial equilibrium position. There is no real oscillation. It returns to the equilibrium position in the shortest time. The period of a lightly damped SHM is slightly longer than that of the undamped. The oscillator may finally stop at a point with a nonzero displacement.